Entertainment sites buzzed as Canadian Indie band , Arcade Fire's single Abraham's Daughter is announced as the Hunger Games anthem. Book Reporter, owner of Teenreads and various book review sites launched 20somethingreads.com this week. A mix of YA and Adult fiction this site has features, reviews, and author interviews. DOJ may sue five of the big six and Apple for Anti-trust. According to Reuters [ e-book customers are ] accusing them of colluding to raise the prices of electronic books. Romeo Redeemed the sequel to Stacy Jay's Juliet Immortal now has a cover. The 4th Beautiful Creatures novel, Beautiful Redemption cover was revealed this week. It's here S*it YA Author's say feat. Beth Revis, Carrie Ryan and Myra McEntire etc. 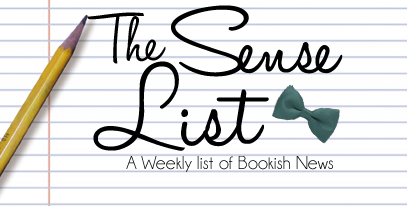 Books and Sensibility is now booksandsensibility.com ! Yay ! Giveaway to come soon . . . I'm so gonna have to pick up and read the Beautiful Creatures series soon. I'll have to check the 20something website out. Sounds interesting. I really like this 20something website!